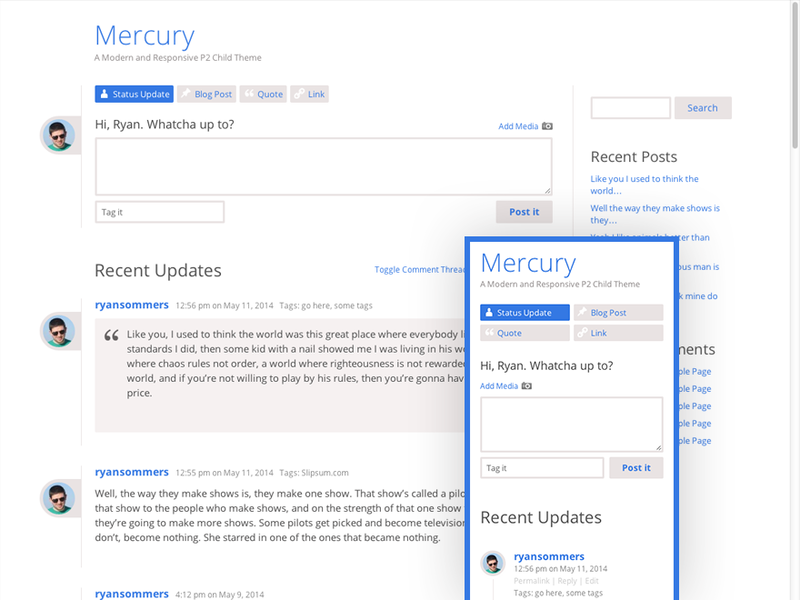 Mercury is a modern and responsive child theme for WordPress’s P2. The planet Mercury was “named Mercurius by the Romans because it appears to move so swiftly,” a little like P2. This is my first attempt at a child theme, and the first open source project I’ve worked on, so please be gentle! 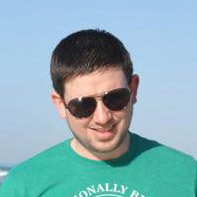 I’ve enjoyed and benefited from others open source work for years, but always made excuses about how I was too busy or didn’t know how to contribute. Plus putting your work out there for everyone else to potentially pick apart is a little scary. But that all changes today! You can view a basic demo at ryansommers.com/mercury and download it from GitHub at github.com/ryansommers/mercury/ or WordPress.org at wordpress.org/themes/mercury. Just thought I’d drop a quick “thanks” for the Mercury theme. I only recently learned about P2 and decided to use it for a private network of sorts for me and my family. The P2 theme was nice, but it’s not mobile-responsive which was a deal-breaker for me. Then I found your Mercury theme and I love it. It’s clean and simple – just what I was looking for since I need this to be easy-to-use by parents and grandparents! Hi! I love your theme, I just set my own database and I decided to use your design. Is very useful and simply to use in mobile browsers too.